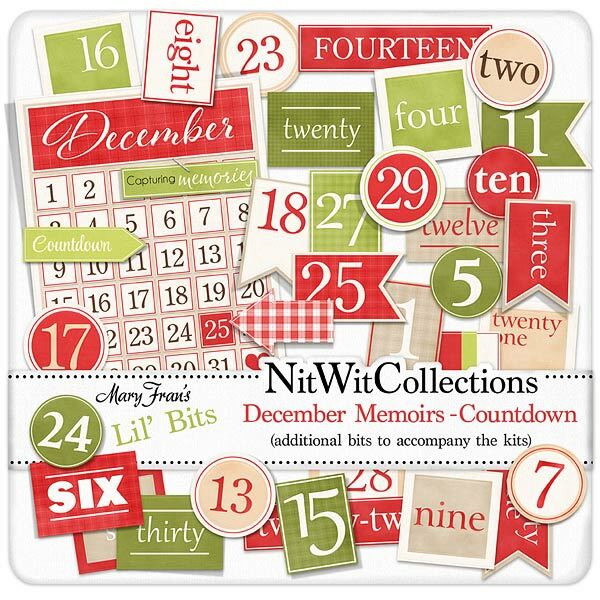 Lil' Bits "December Memoirs Countdown" is the perfect digital element pack to journal with and countdown each day in December, or create an Advent Calendar with! Why only have one day of festive moments....do all 31!! Don't miss out on these digital elements as they are not included in the FQB "December Memoirs" Collection so don't pass these by! 31 Individually numbered days that are so uniquely shaped and created to give such interest to your December creations!